I’m not going to limit myself because people won’t accept that fact that I can do something else. Welcome to the Peak Performing Professor and the website of Susan Robison, Ph.D. Faculty development work is one of my favorite professional roles. As a professor and former department chair, I understand the challenges and the rewards of college teaching. While teaching our subject matter we also offer ourselves as role models for adulthood. My work in faculty development is aimed at supporting faculty efforts to care for themselves as they work effectively. Peak Performing Professor seminars and coaching help faculty do great work while having a great life. Leadership Skills for Academic Leaders seminars and coaching help academic leaders support faculty do great work. Focus their energy and time on high priority tasks both personal and professional. Faster, easier paths to success in achieving rank, tenure, and developing a legacy. Maintain their own work-life balance while helping faculty do the same. 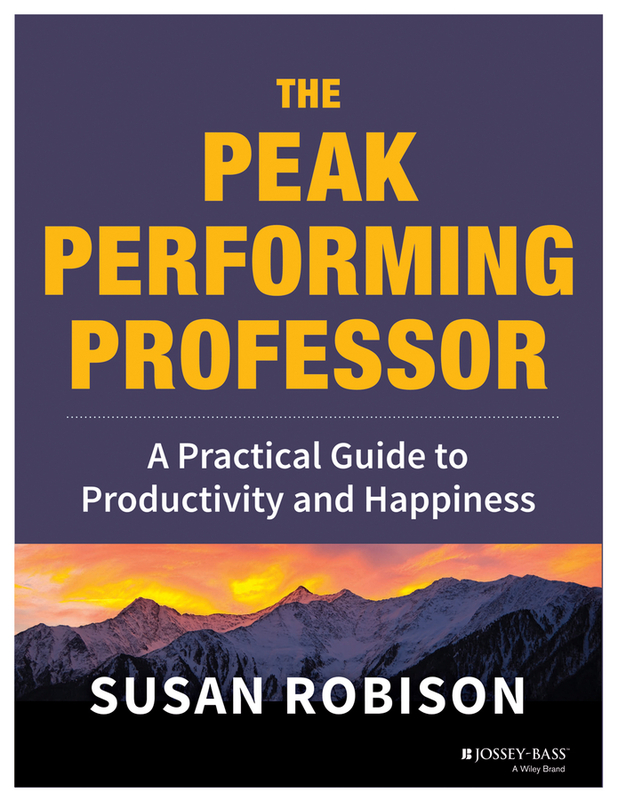 My recent book, The Peak Performing Professor: A Practical Guide For Faculty Productivity and Happiness contains hundreds of strategies for working well while living well. My book can be purchased directly from the publisher at Jossey-Bass Wiley or from Amazon. Conquer the self-defeating attitudes and distractions that block writing progress.